This weekend is the busiest time of year for an adoring fan of figure skating because the U.S. Championships (California, San Jose) and the European Championships (U.K., Sheffield) are going on at the same time. In Japan, we can watch singles SP and FP of both competitions live on CS station, J Sports, and also, we can watch whole European one live by free streaming TV. Some people who has Ice Network’s season pass (paid streaming) can watch whole U.S. one live. See, it’s hard-scheduled, isn’t it? 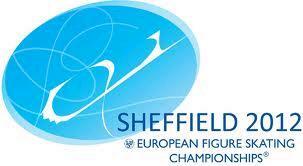 Since senior competitions of Euro started last Thursday evening before the other, I’ve indulged in the competitions. For the both, it’s fun to enjoy performances of skaters who don’t participate in major international games as well as big names. 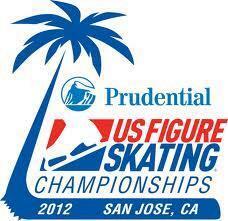 Specifically, U.S. National is a serious match for all American skaters because it’s the only one qualifying race for the World Championships. Skaters from these preliminaries and seeded top skaters measure swords with each other: it’s one-shot deal. As for European one, I focus on men’s single including Brian Joubert (a French skater) and Evgeni Plushenko (a Russian skater). Well, a figure skating Otaku (fan) has a passion for watching not only own country’s skaters but also foreign ones. 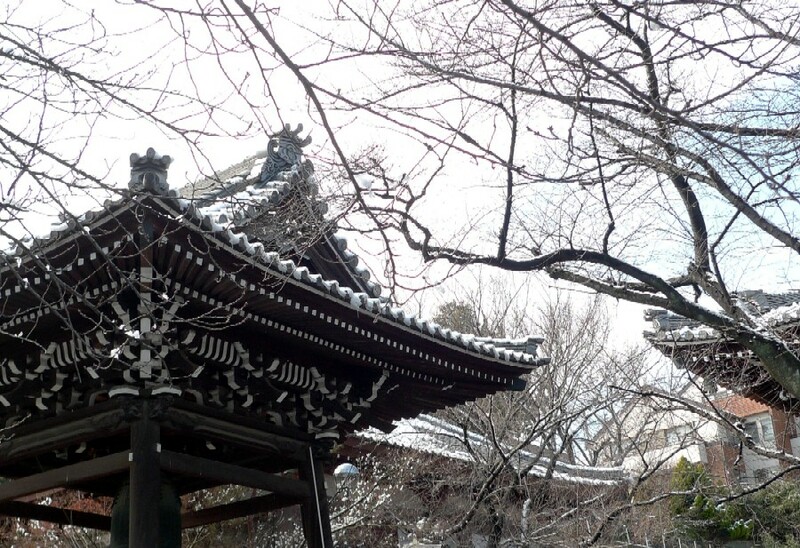 Most parts of Japan have a temperate climate with four distinct seasons. While Tokyo is extremely humid in summer, it’s cold in winter. The snow fell in Tokyo last night, and it’s a very cold day today. 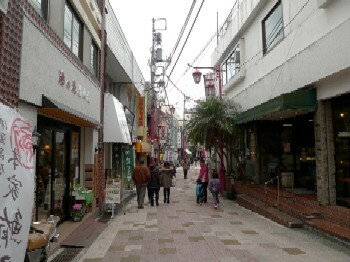 The Japanese climates in winter differ between the area along the Sea of Japan and that on the Pacific Ocean side. This is because the mountains in the central part of main island block the cold, wet wind blowing from the northwest. That causes heavy snow to fall on the former and sends cold, dry air to the latter. My grandparent came from a mountain area of Niigata prefecture on the Japan Sea side that’s one of the snowiest regions on earth. For example, annual snowfalls of 4 to 5 meters （13 to 16 feet） are not unusual. My relatives in Niigata really love the news about snowing in Tokyo. Since the metropolitan area that’s plain region has snow just several times a year, it isn’t prepared for snow. So, once we get it, even if it’s only 3 centimeters (about 1.3 inches), the cities fall into chaos: the train arrives late or stops, automobiles without chains or winter tires come to a standstill, and city-slickers slip and fall in the street. People accustomed to heavy snow enjoy watching miserable urbanites on TV. I had the closeup view of their happy faces when I stayed at my relative’s home in winter for skiing and watched news about snow in Tokyo together. They pointed and laughed at those urbanites. Tokyo fell into light chaos yesterday and this morning. I can easily imagine those who in the snowy region were so delighted to hear about us. Almost all major ice skating competitions include exhibitions (sometimes called gala) at the end in which the top-placing skaters perform non-competitive programs for the audience. Fans are looking forward to it as a competition per se. Unlike programs in competitions, there isn’t time restriction and constraint on what elements one executes and how to show up (I think there is the bounds of common sense). A skater can use music with vocal and properties. These provide skaters with a wider range of expression. However, it depends on a skater or a pair how much focusing on the programs. While some exhibit one’s showmanship at an exhibition, the others don’t. Exhibitions programs of Yuko Kavaguti & Alexander Smirnov from Russia are always interesting to watch. The programs are quite close to perfection, and the pair performs in earnest. They show us impressive “Очи чёрные (Dark Eyes)” in this season. The lyrics of the famous Russian song were firstly written by the Ukrainian poet and published in 1843. The poet describes a tortured man who loses oneself in love with a Romany woman. Then, in 1884, it was published as a song. The song became famous in the 20th century by Feodor Chaliapin, an exiled Russian opera singer (bass), who amended the lyrics and sang it on stage in all over the world. Church bell rings at the start of the program, and we come to know the scene is Moscow. The pair sets off in silent and then performs a throw jump – audience’s tensions are rising. As Yuko lands, the vocal, Ochi chornyye♪, in a low impressive voice starts. It’s so cool that the tensions may turn into expectations for their performance. She performs very well as an exotic Romany. They offer a variety of highlights throughout the program including excellent lifts and spins including one (about 3:43 in the video) in which Smirnov looks like he places Yuko on his left palm. He who’s infatuated with Yuko unbuttons his shirt and lays his breast bare in the middle part of it (about 3:17), and he charges ahead for the last half. 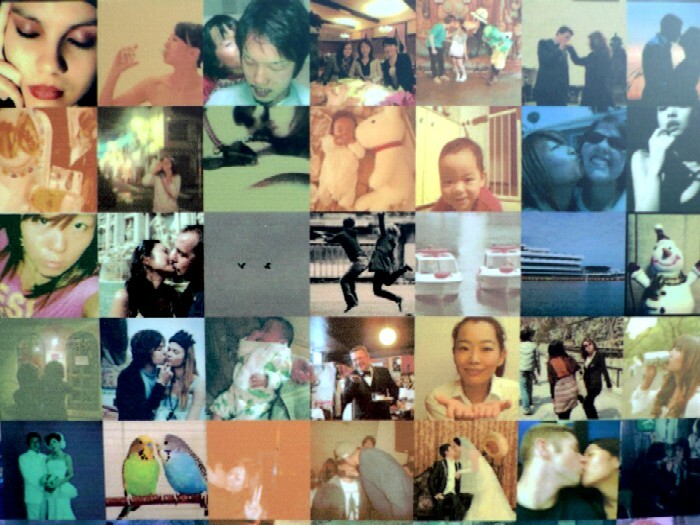 Yuko is attractive not far behind from the woman in the photo. Would you like to be intrigued by her? 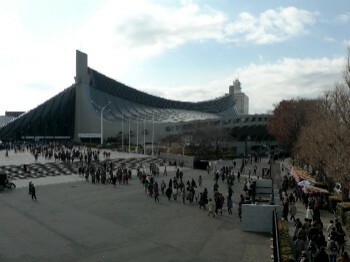 It’s the best-recommended exhibition number in this season! Yuko once teamed up with a Russian male skater to compete for Japan and got a first medal for Japanese pair team at the World Junior Championships in 2001, but after all, she obtained Russian citizenship in 2009 to make the Russian Olympic squad. We have many talented single skaters but don’t have males for pairs. 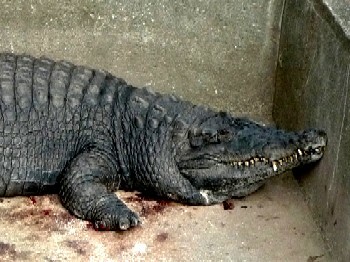 Well, I think we have to prevent the loss of skater like this. Needless to say, this is the best-known work by Gustav Klimt (1862 – 1918), a leading Austrian artist who was a co-founder of the Vienna Secession, an Art Nouveau movement. His works in the sensual theme that give us the impression of mellow and voluptuous grace are popular in Japan. 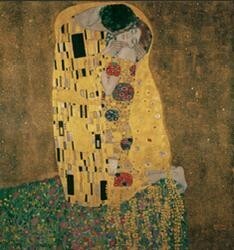 For many Japanese, including me, Vienna in the end of 20th century is synonymous with Klimt. 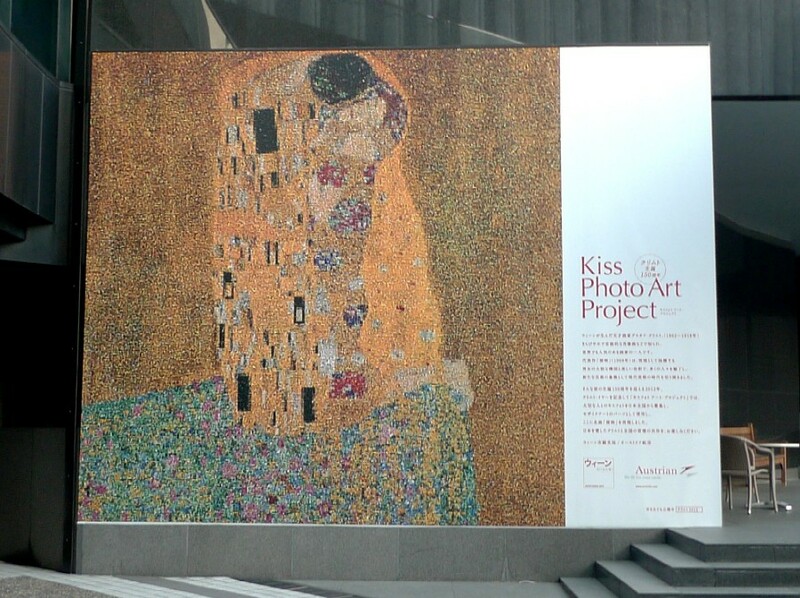 The huge picture in the opening photo is build up with tens of thousands of kiss-themed photos posted by the public, which is called Kiss Photo Art Project 2011. That’s a part of a promotion for Austrian Airlines in Japan. In 2012, the original of the mosaic will be donated to Vienna marking the 150th anniversary of the artist’s birth. It was fun looking at each photo. It’s displayed in ARK Hills that I stopped by on the way home yesterday. 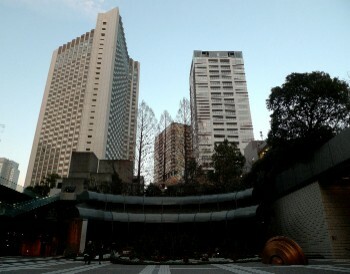 It’s a commercial complex, situated between Akasaka and Roppongi. This is just an aside. 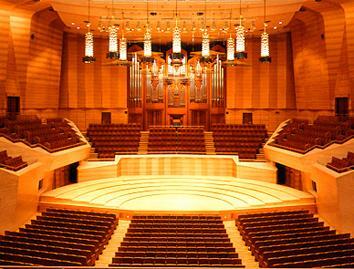 I usually hate the land developer of so-and-so Hills and show animosity towards it, but I'm grateful that it made Suntory Hall, a premier concert hall for classical music, in ARK Hills that’s only a station away from my house. 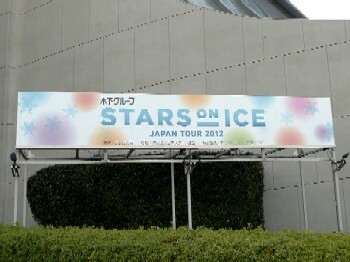 I attended an ice show, Stars on Ice, yesterday. 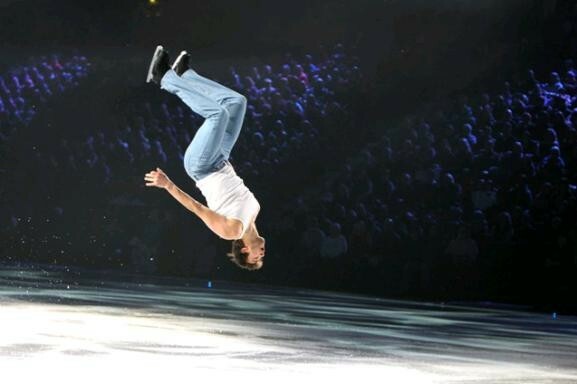 The show featuring a cast of Olympic, World and National champions was founded by Scott Hamilton in 1986 and has toured in the U. S. and Canada every year. 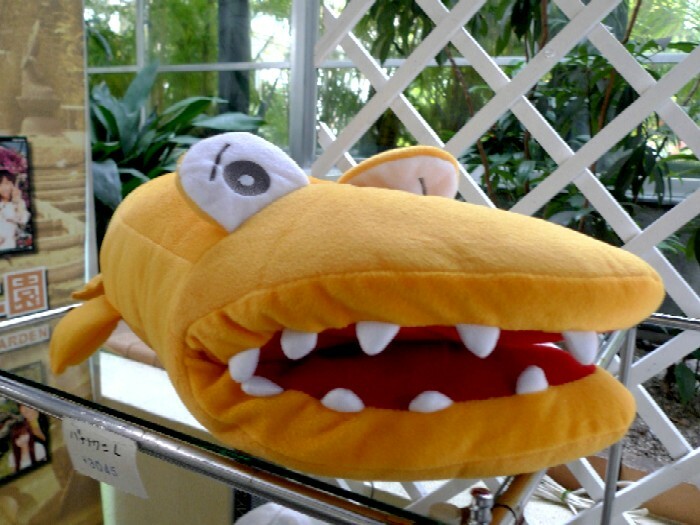 It’s had the Japan tour since the late 2000s. From this year, Kurt Browning co-directs the show and choreographs programs of this year’s theme, "Love 'n' Life." It’s half an hour before the actual show. I heard the Osaka show held last week couldn’t draw a large audience, but in Tokyo, there was a There is a fairly good attendance. The 2 hours went by surprisingly fast. I did enjoy it! These are a part of things that really struck me. Basic skating skills of Shizuka Arakawa performing Turandot (wow! It’s the best music to watch her Ina Bauer move.) 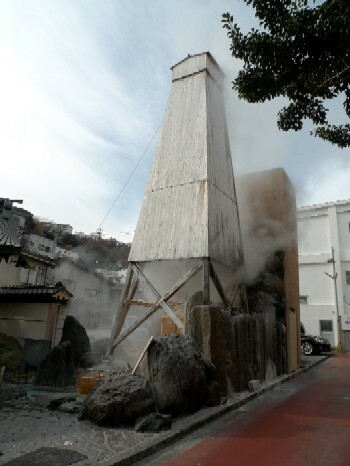 and Takahiko Kozuka were absolutely excellent: precise, clear, smooth edge-work. I was really delightful watching Miki Ando who participated in the themed programs amusingly with professional skaters like Kurt Browning and Jeffrey Buttle. I hope this year’s break would add up to a new passion for her skate. I was lucky to see "I Will Survive" by Narumi Takahashi & Mervin Tran. Have you seen Narumi dancing wildly with this song at exhibition of NHK Trophy? That was my favorite. They changed their EX program after that competition, but they restaged it here in Tokyo. Thanks! Qing Pang & Jian Tong’ s performance was just spectacular. Despite the show, the pair lavishly showed us difficult triple throw jumps, dynamic lifts, a triple twist lift, and each of them was of a quality high enough to get added points: the jumps and lifts were high and the landing of jumps were smooth. The pair is in a different class. They got a standing ovation from people in the arena. Daisuke Takahashi’s act was “El Tango de Roxanne” from the film Moulin Rouge. Oh my goodness! That was his SP in 2005-2006 season and EX program in 2006-2007, and personally, it’s one of his masterpieces. He performed it in Osaka last weekend, but I didn’t expect it because media reported it was only for that show (he had to perform twice in Osaka, so he chose it though he doesn’t like a rerun of old programs). Once he started off, the atmosphere totally changed to Daisuke’s world. From my seat in the corner of upper the stands, I couldn’t see his facial expression, so only from his movement, I felt his yesterday’s performance was more sophisticated than that was before. There was a grace to his movement. His former Roxanne was passionate and gorgeous but rough-cut compared to the reacted one. 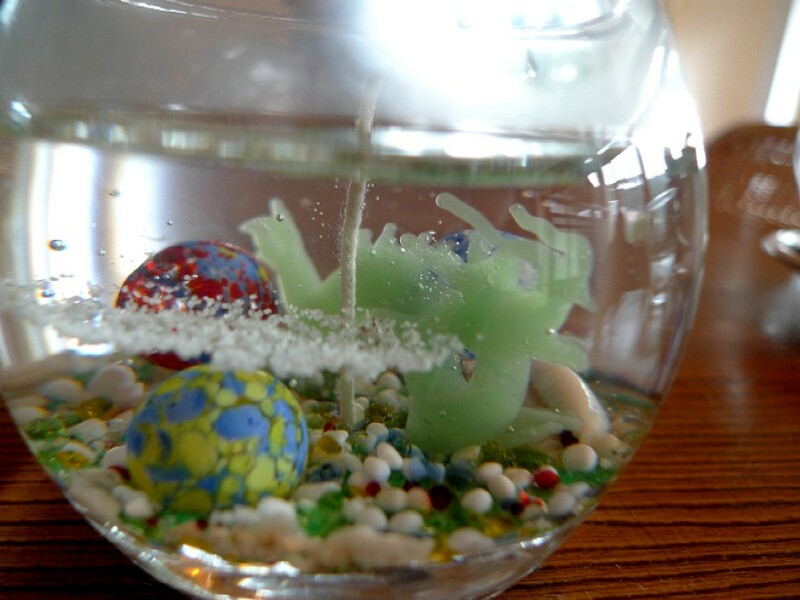 He took a full swing and poured out his emotions before. The pageant was taped and will be broadcast this evening, so I’ll check it with close-up images later. Indeed, he’s a very, very unique skater who possesses abilities of athlete and artist. Maybe I’m preferential to him, and even so, I think he’s a performer of Nijinsky level when he’s on the ice. Another standing ovation. Watching Pang & Tong and Daisuke already counted for a great deal yesterday, and added to which, I could luckily see Mao Asada’s “Jupiter”. Introduced by Sasha Cohen, she showed up at the end of the show after Daisuke when the audience still felt excited. The noisy site went quiet, and we were drawn to its fascination. To my surprise, she executed a difficult 3F-3lo-combination jump in the late part of the program. She made it look effortless. Yes, she did it in competitions until few years ago. I’m looking forward to watching it again in the near feature. Of course, she got a standing ovation. Her coach, Nobuo Sato, his wife Kumiko and Tsuguhiko Kozuka (Takahiko’s father) were there. Oh, Ryan Bradley was still doing backflip quite well. 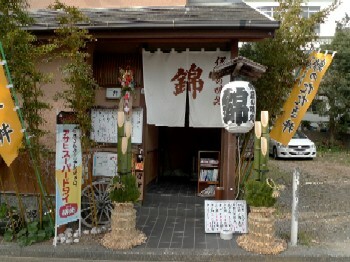 Japanese people have a custom of cleaning house at the end of each year. In December, many TV programs feature cleaning methods, and a lot of television commercials for cleaning things are aired. As the year comes down to a close, people ask each other if one finish it or not by way of greeting. The year-end housecleaning originates from a religious tradition called Susuharai in which people cleaned their home altar and rooms to welcome the god of the New Year. 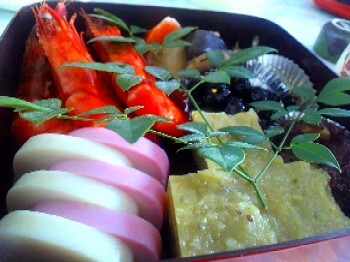 In present-day Japan, many families, including mine, and companies still do it to greet the New Year. My sister and I planned to do it thoroughly in two batches in late last December and did it, but some parts of our house are not cleaned because we spent a long time cleaning outside of our house beyond expectation and ran out of energy halfway. So, we interpret the New Year as one in the lunar calendar (January 23), and the thorough cleaning is still going on. 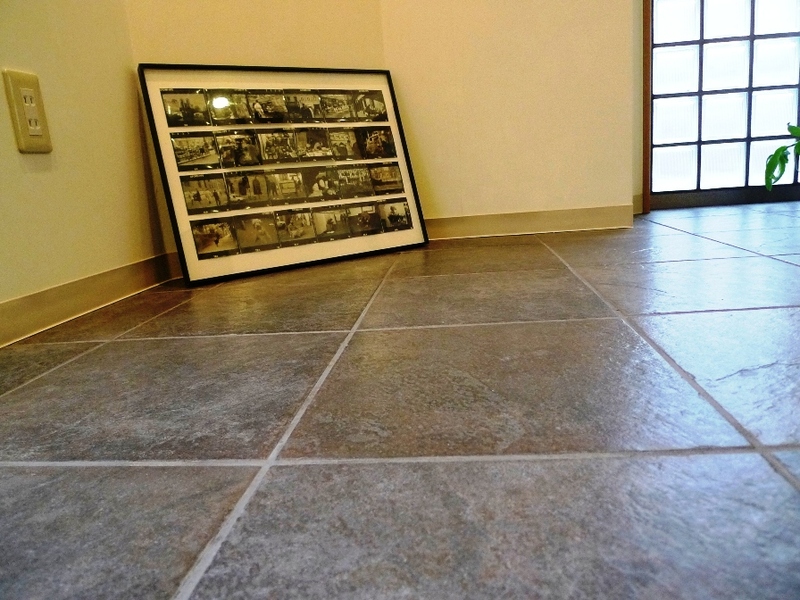 We made tile floor of our living room sparkling clean yesterday. We’ll go on to the inside of the refrigerator and kitchen shelf next week. I heard about similar customs in other countries: the Scottish "New Year's cleaning" on Hogmanay (December 31) and "khooneh tekouni" which literally means "shaking the house" just before the new year in Iranian calendars. As for the latter, since the Iranian New Year falls on the first day of spring, khooneh tekouni is considered to be the origin of spring cleaning in Western countries. In Japan, some do one's spring-cleaning, but I think most people declutter one's entire home and office rather than clean them. This is because the fiscal year (business and school) generally ends at the end of March, and in many cases, the personnel reshuffle, graduation and entrance take place during late March and beginning of April. The spring is the move season. Some people say warm spring day is better for cleaning than end of December. However, besides the year’s end in which the whole country becomes enveloped in a cleaning mood, a person who’s not a tidy person, like me, never make up one's mind to clean the whole house. 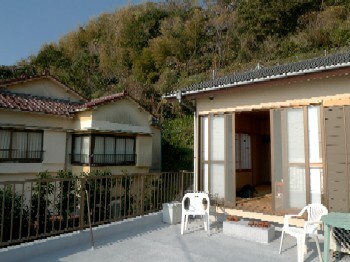 I spend New Year days with my best friend and her mother in hot spring resorts for several years. As I have already noted in the two previous posts, we visited the East Coast of Izu Peninsula in Shizuoka Prefecture that is a popular recreational area for people of the Tokyo region. There are literally hundreds of hot springs in the peninsula, and on the East Izu also abounds with major resorts: Atami, Ito, Atagawa, Inatori, Imaihama and Shimoda (in ascending order according to distance from Tokyo). 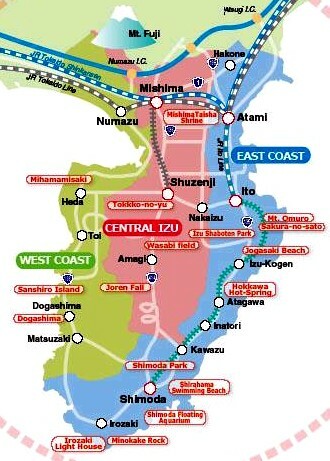 On New Year's Day, we took express train, Odoriko, from Tokyo to Atagawa (about two hours). 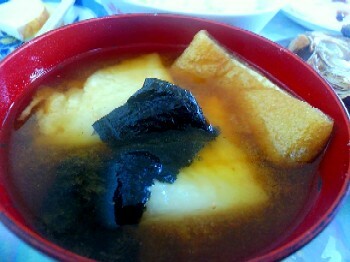 We had lunch at a famous seafood restaurant, Nishiki, in Atagawa. 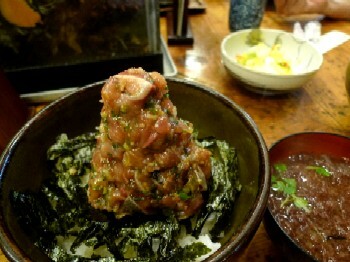 The dish shown right is its specialty, a bowl of rice topped with finely chopped horse mackerel. We stayed overnight at a small inn in Katase hot spring resort that was once called Minami (southern) Atagawa Hot Spring because of its location in the southern part of Atagawa Hot Spring. 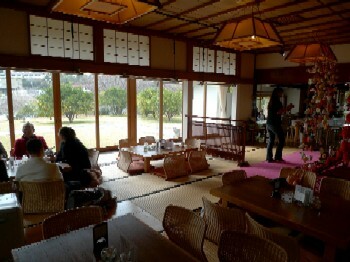 The family-run inn (4 rooms in all) named Koiso was located right on the ocean, and we could get a view of the Izu Islands. The inn had a nicely small bath into which the water was poured directly and served good homemade meals. The inn served traditional New Year's food for breakfast. Then we returned to Ito for another day and nigh next day. 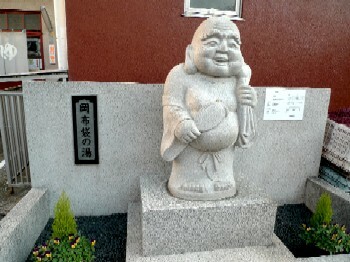 After we checked into a large hotel, I visited one of communal bathhouses nearby alone. Many historic hot spring resorts have these hot spring bathhouses for low rates for residents, and they function as a place for social interaction. 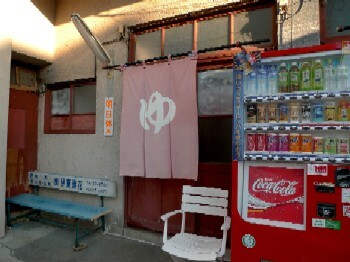 It was the first day of business in 2012 for the bathhouse, so it was packed with locals exchanging New Year's greetings. So, the condition of the water wasn’t good. I've traveled all over the area many times from when he was a child, but for the last dozen years or so, I didn’t extend my visit farther than Ito. I revisited Atagawa area after so long and felt that levels of the service at inn, meals and hot spring water are better in the farther parts of the peninsula - of course, it depends on facilities. 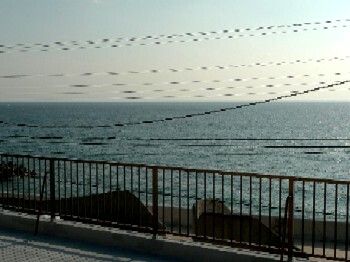 Different from the accessible resort, Atami, that is located near the top and has the Shinkansen bullet train station, I thought inns in relatively small resorts in the central part and the tip of peninsula make effort to draw more customers. Though I like the convenient resort, Atami, now I want to explore Atagawa, Inatori and Shimoda areas once again for the future. 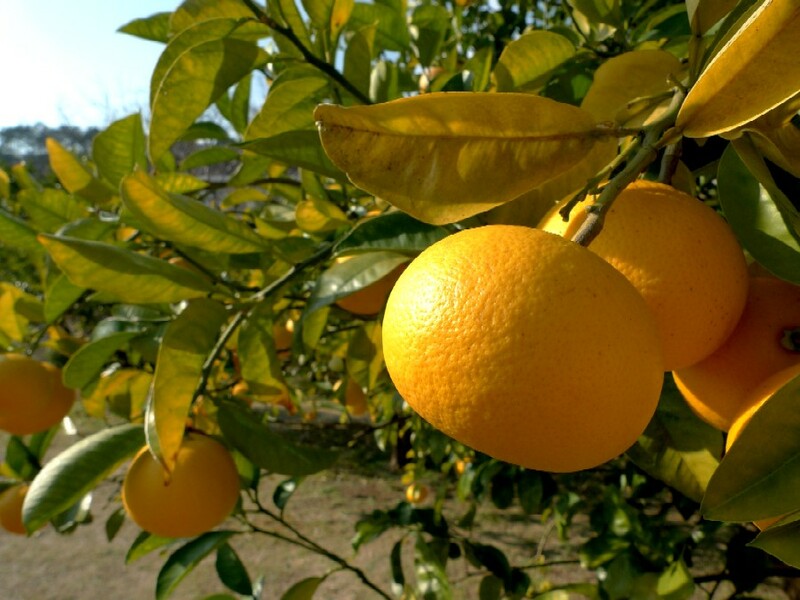 Hassaku (academic name = Citrus hassaku) is a relative of the orange family of Japanese origin. It’s my favorite citrus. 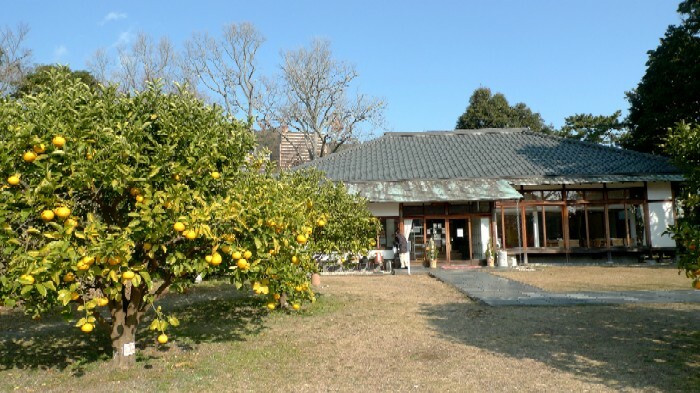 The region around Atagawa has a very warm climate with a large variety of citrus plantations at the foot of the mountain. Now, Hassaku orange is ripe for the picking. The trees in the opening photo bear ones in the garden of a craft studio that offers visitors a chance to make gel candles (or jelly candles). The studio named Sakura-zaka (literally means a hill with cherry trees) is ran by a ceramics artist who has several similar studios around the country. Looking at its stately gate, I guess the facility was someone’s big house with expansive grounds. 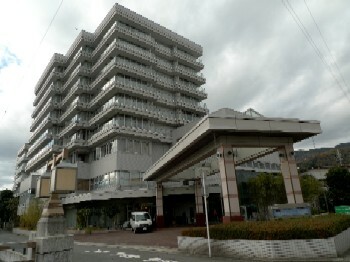 The HP says the mail building, a mansion, was moved to the place from Niigata Prefecture. 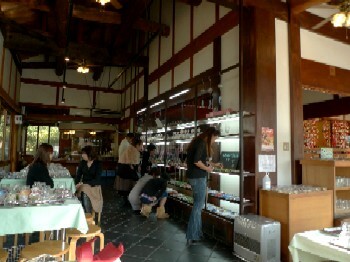 The studio also has a Japanese style café. It was very simple. After choosing a container and embedded objects for it, firstly, you make base in the bottom of the container with color sands and beads. 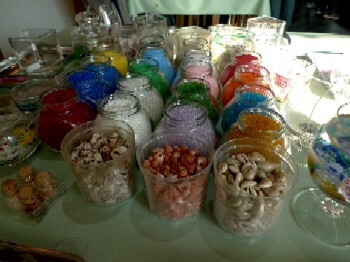 Then, place the objects (glass sculptures) on the base and give the container to the staff. The staff pours gel and cools it. The problem was that the materials are not my taste. They were too cute (I mean, childish). It always happens when I try to make something at this kind of facilities in a resort destination. However, I don't mind it. I like creating something within the constraints. 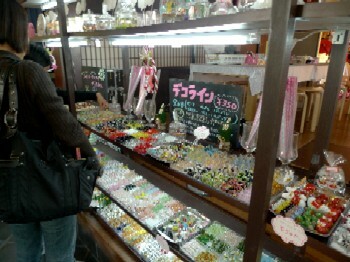 This time, I chose a jade green sculpted-glass dragon and three marbles in the picture below. That was not because I wanted to make it in the motif of this year's sign but because they were the only objects that were not cute. It’s not the greatest but good memories of the trip. 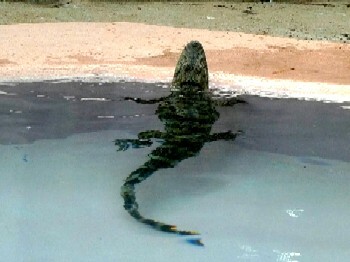 I was in The Atagawa Tropical & Alligator Garden on January 1, 2012. 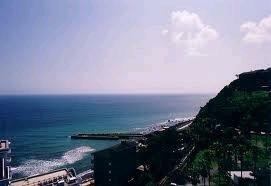 Facing the Sagami Sea, Atagawa is located along East Izu coastline (Higashiizu-cho in Shizuoka Prefecture, Japan). 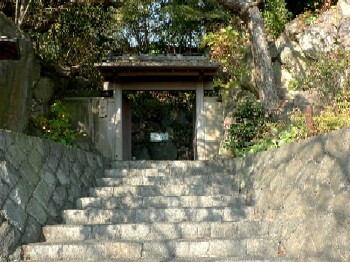 The resort is one of the greatest ones in Izu in terms of its abundant amount of spring water. 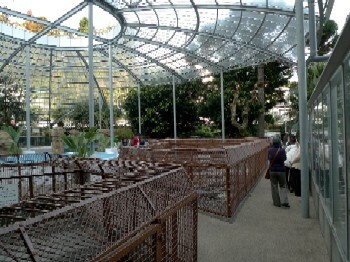 This tourist facility is made from the blessings of the hot water. 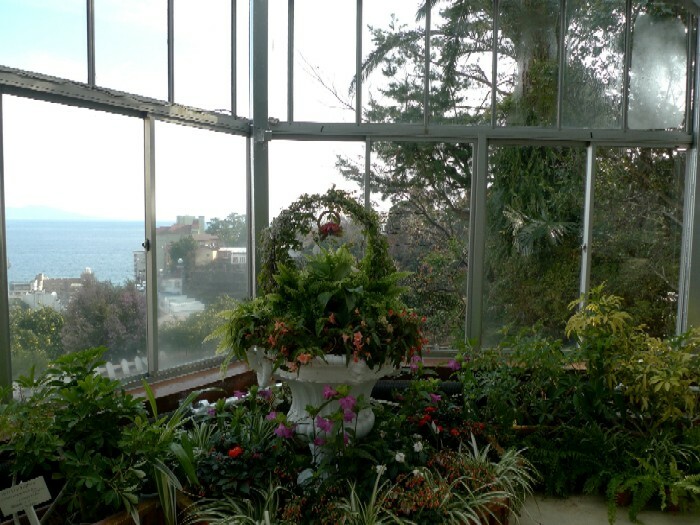 Opened in 1958, the garden has remained a popular Izu area attraction for more than 50 years. 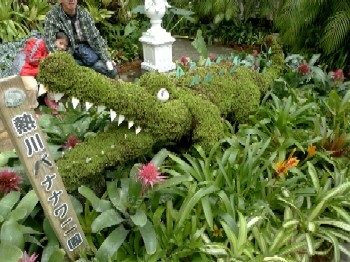 I visited it again for the first time since I was a child, and I enjoyed the garden very much. 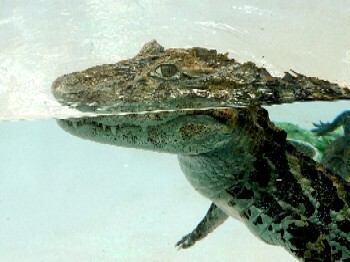 Its most famous attraction is the world's biggest collection of alligator. 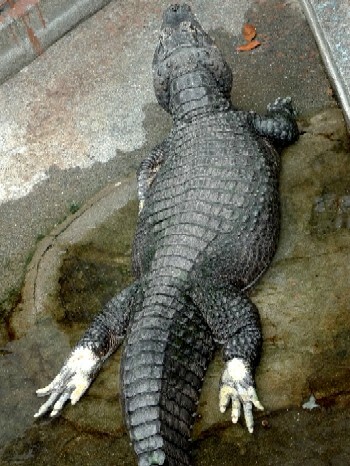 It raises and breeds alligator species (20 kinds) from around the world including ones in danger of extinction. 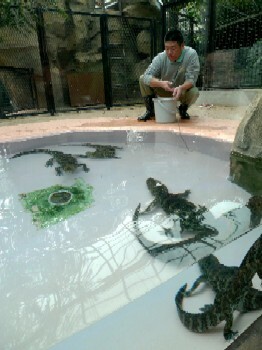 I don’t want to see them in nature, but it's really fun to observe the ecology of the animal. We can watch the adorable back shot and the charming full face. They look cute when one is asleep and show the bottom of one's feet to us. 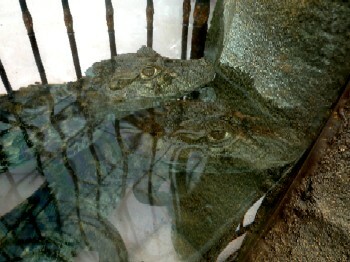 They give us eye contact. 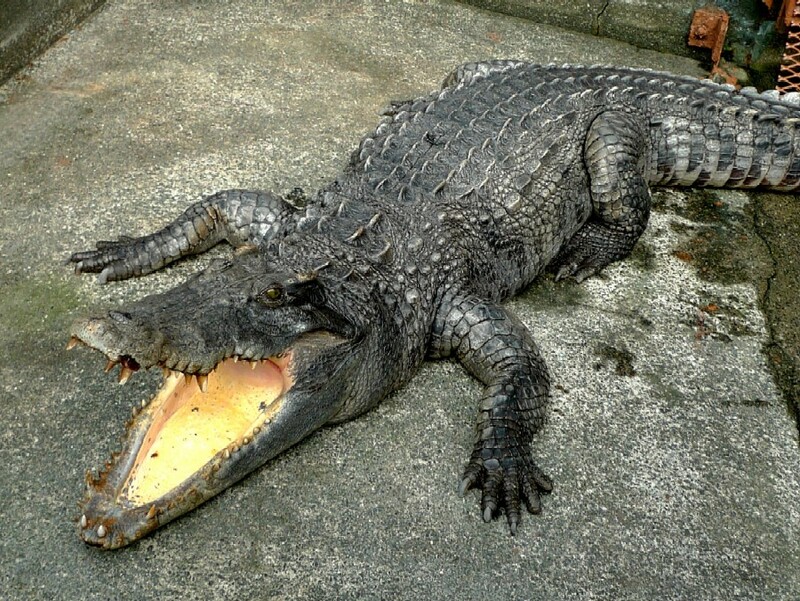 I found alligators are cute. 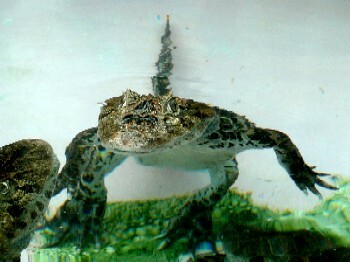 There are other cutie creatures. 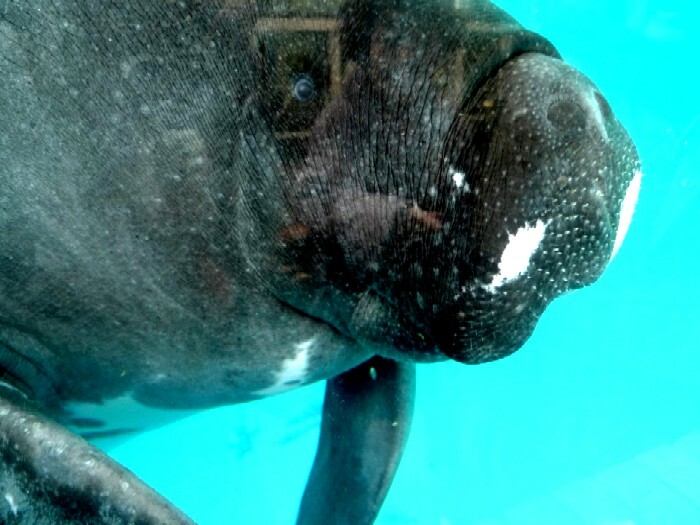 It’s Trichechus inunguis (Amazon manatee) that is the only one bred in Japan. 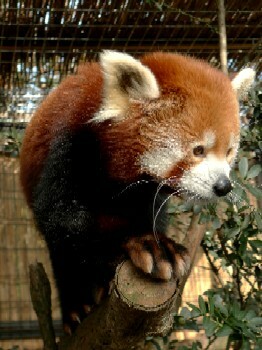 The idol of the garden is Ailurus fulgens fulgens (Nepal Red panda). 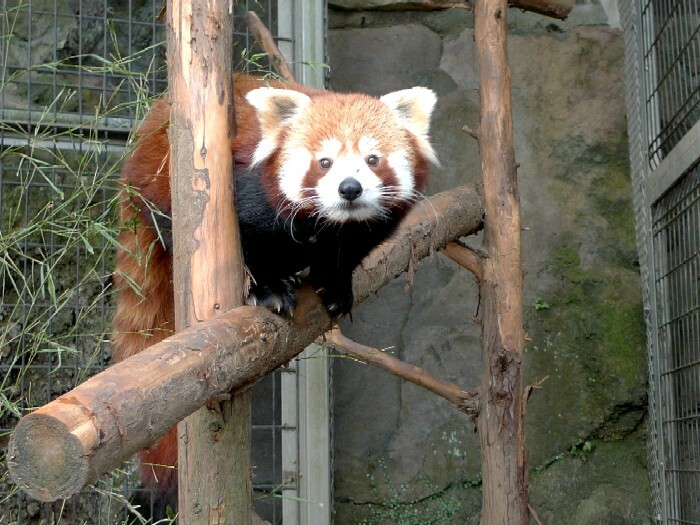 This is the only place where you can see the subspecies in Japan because the other red pandas in Japan are Ailurus fulgens styani (Chinese Red panda). 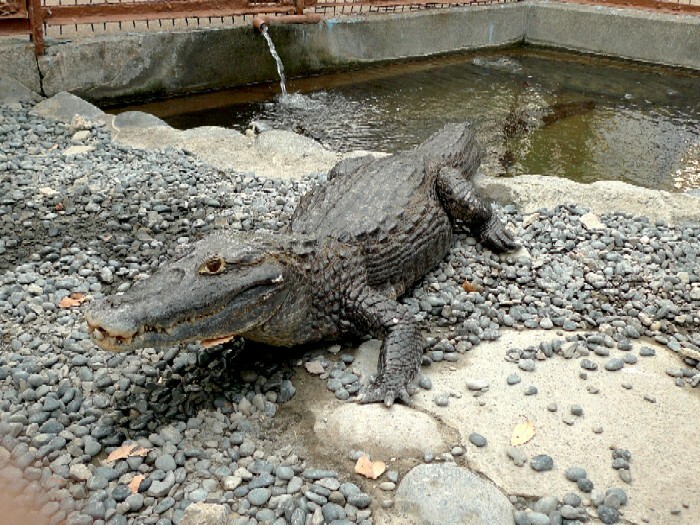 The facility got a breeding pair from National zoo in Washington, D.C. and then bred them. 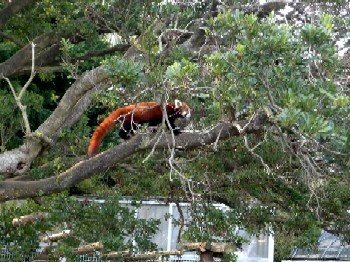 Now there are over 30 pandas, and it’s the world's highest number of Ailurus fulgens fulgens bred at zoo. 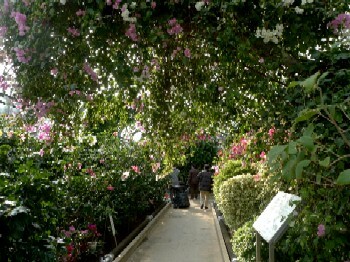 It also provides the excellent botanical garden that’s worth seeing. 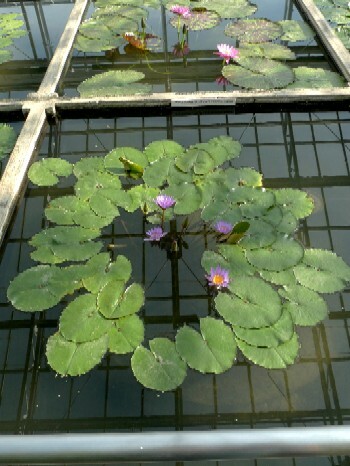 There are 10 greenhouses with tropical plants, fern, orchid, foliage plants, tropical fruit trees, lotus, water lily, and so on. 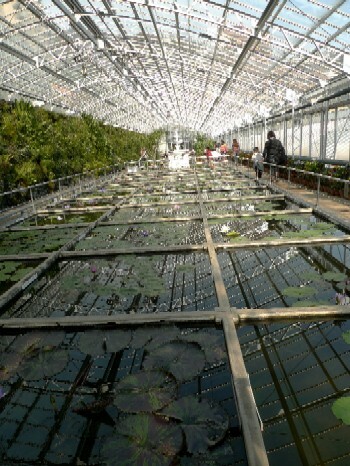 The highlight for me was the greenhouse with countless tropical water lilies. 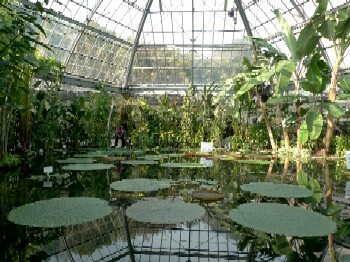 The big aquarium in the photo is divided into a square, 1.5 m on a side, and a different kind of lily is grown in each space. 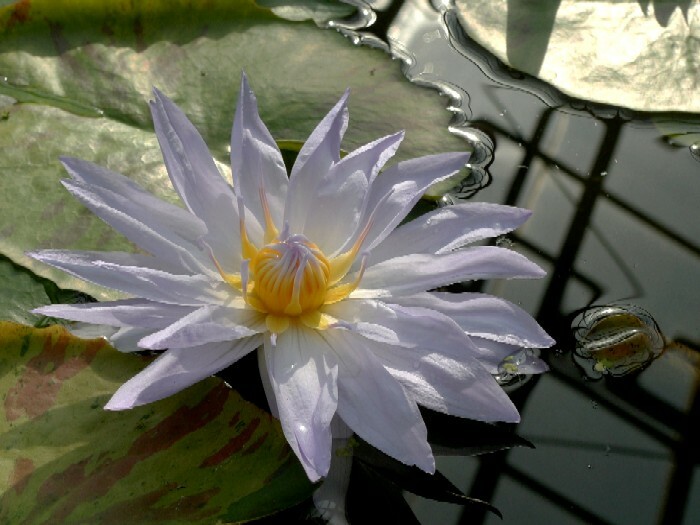 I believe it’s one of Japan's major water lily collections. Even more than the number of plants they grow, they made many rare orchids bloom for the first time in Japan. 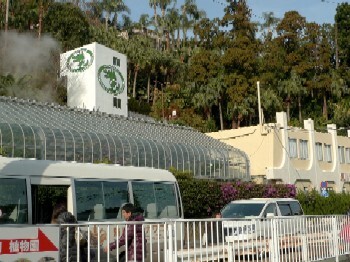 Even though it’s a tourist facility, it’s the number-one zoo for specific species and also the substantial botanical garden. Well, I realized I was too young to understand the true value of the garden on previous visits. Dragon is the only animal that is legendary among animals that appear in the zodiac. 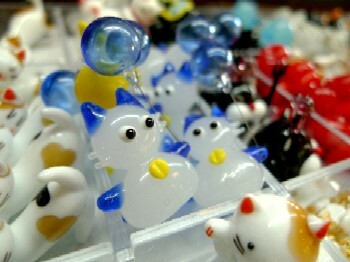 Unlike in the Western countries, people consider the animal to be symbols of good luck in East Asia. We think the dragon prevents evil and brings good fortune. 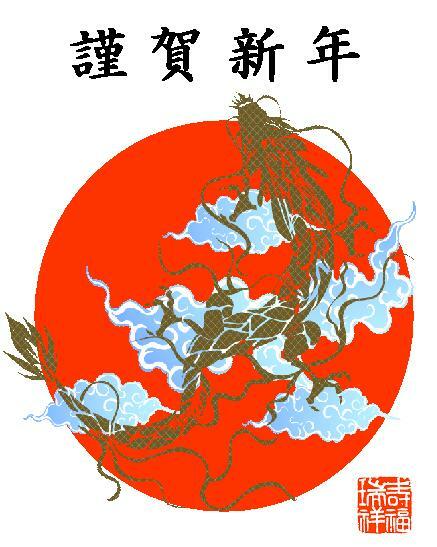 According to Japanese tradition, each year reflects the character of a different sign of the Chinese zodiac. I do hope this year becomes a good and lively year like Rising Dragon for us.